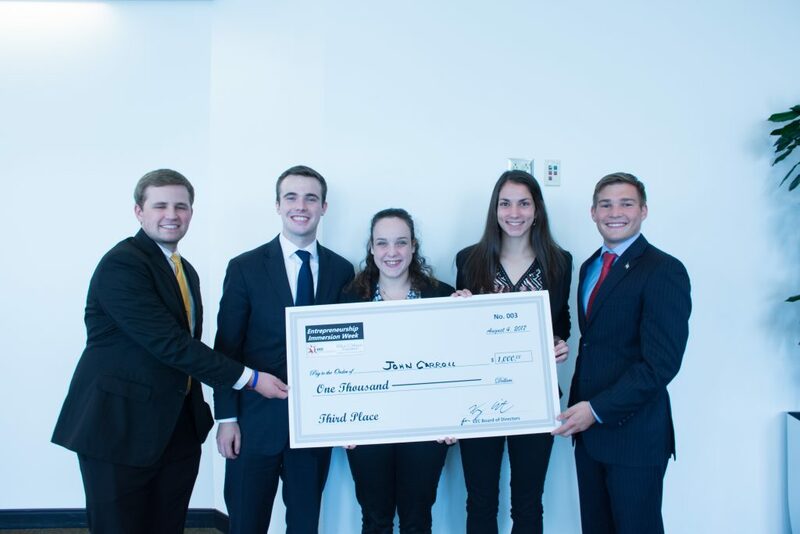 The JCU entrepreneurship team placed third at the Entrepreneurship Education Consortium’s Immersion week in August and won $1,000. The team consisted of: Matthew Wilson (COMM and MK), John Sosnowski (CH and MN), Ainsley Gialamas (MK and SCM), Antonia Piazza (undecided BS), and Adam Bozsvai (FN). All are entrepreneurship minors. Photo submitted by Jackie Schmidt, Ph.D. Submit your photo of the week here!